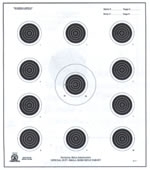 An optional target used in competitions sanctioned by the United States Practical Shooting Association and several others. 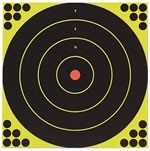 While this is not an official target, it is often used in various types of 3-Gun competitions. Its size is roughly half of a standard Classic target, meaning clubs can shoot this target at 100 yards, and simulate a 200 yard shot. This target uses a thinner corrugated board, primarily designed to accept the rubber pellets used in AirSoft competitions. 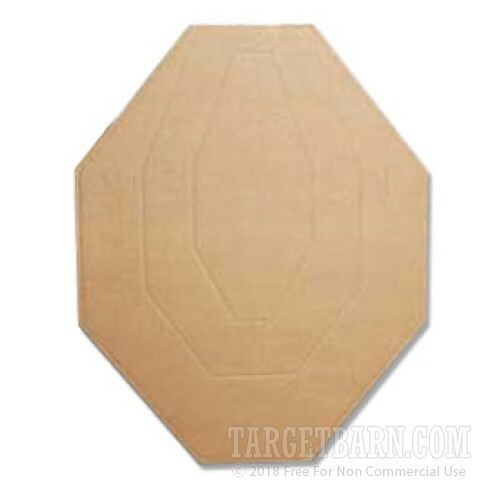 The Classic-AirSoft Target is a trapezoidal-shaped silhouette, approximately 12 inches wide by 17 inches high, and die-cut from corrugated board. 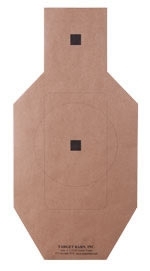 The perforated scoring lines designate the Alpha, Bravo, Charlie, and Delta USPSA official scoring zones. The targets are kraft brown on the front, and white on the back. 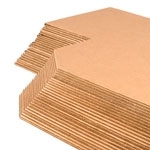 Grab a box of Tan Pasters to extend the life of your target.